One of the most powerful memory triggers is the sense of smell. An aroma can bring back memories from childhood that seem like they were from yesterday. And I’ve also noticed that other triggers can bring back memories of smells, which in turn bring up other memories. I was reading a blog post from last year that spoke of the smell of bacon and eggs wafting through the trees in the morning when my folks took us camping in our childhood. That smell is still one of my favorite. It almost is enough to make me want to try camping again. Almost. One of those other triggers is music. Back in the mid-80’s, I was working as a driver education instructor for Central Texas College over in Germany. I taught GIs how to pass the German written driving exam. I was always traveling to a distant Army base each week. One week I was driving back and forth to Stuttgart each day. It was about 100 miles each way, but in Germany, where there was no speed limit on the autobahn, the trip took less than an hour. As that week started, I had a new tape by Steve Perry (of Journey) called Street Talk. Lots of good songs on that album. I played it over and over during that week. To this day when I hear Foolish Heart, I can smell the leather in my ’77 BMW 633CSi that was my transportation back then. That was a very good time in my life and it seems the good memories are the strongest and most enduring. Just like camping when we were kids. 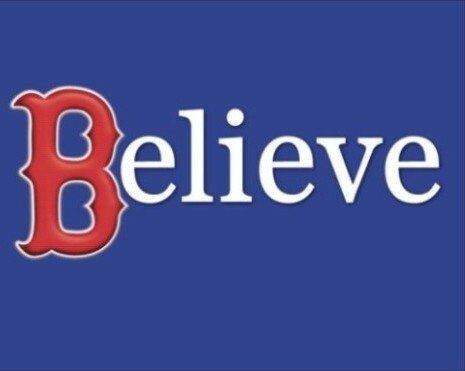 Red Sox – Three losses in a row, but still atop the AL East. Yankmees are also losing – So not gaining ground on the Sox. Mediacom Cable – Between the idiotic Emergency Alert System they over use and the useless DVR that resets itself every time they use EAS, I can’t dependably record anything. This is the 21st century, right? Celtics – Having an easy time of it so far. John Adams on HBO – I added HBO just to watch this mini-series and it was just ok. Now I need to dump HBO again. New lawn mower – Toro knows how to make these things right. This is the stuff that gives Red Sox fans ulcers. Justin Masterson, in his major league debut, pitched 6 stellar innings and left the game with a 3-1 lead. Enter the Sox’s pathetic bullpen. Wavy Lopez and Manny Del Carwreck faced four hitters, all of whom got on base and eventually scored. They even walked in a run, which is inexcusable. Del Car Wreck couldn’t throw a strike if his life depended on it. In comes Okajima, who gives up a couple of hits, one of which Coco Crisp completely muffed, and now the 3-1 lead is gone and it’s 5-3 Angels. Masterson should punch Lopez and Del Car Wreck in their useless noses. UPDATE: So four major league veterans could not do what a kid just up from the minors could and they ruined what should have been a memorable win in his debut. Final score, 7-5, and it wasn’t even that close. If the bullpen doesn’t improve or get some talent, it’s going to be a tough season. Red Sox – Playing a little better now. Some good production from the bottom of the lineup and Manny is looking to have a great year. Gas prices – It all comes down to greed. Plain and simple. Spring is here – Finally into steady 70’s. Hope it lasts. School – Just doesn’t have the allure it did during my undergrad. Big Papi – Breaks out of the slump in a big way. Grand slam over the Green Monster. When they do it right, it’s a thing of beauty. eckett was impressive tonight despite one rough inning. In the 8th inning he was still gunning down Yankmees with 94 MPH fastballs. Manny is a true Yankee killer and was the driving force behind the win. And Dustin Pedroia is the best second baseman in baseball. Papelbon looked a bit shaky but finished off the game despite giving up two runs. Still, an impressive win after last night’s blowout. Veterinarians – Tough job with lots of sad duties, but when they can heal an injured animal, it must make it all worthwhile. Big thanks to Dr. Christie Stone at Crestline Veterinary Clinic for a job well done on our Max. Red Sox Season thus far – Although to be fair, no one was going to beat Chien-Ming Wang tonight. He was virtually perfect. J.D Drew – Still hitting every game. American Airlines and the FAA – Two incompetent entities team up to screw thousands of travelers. This summer is going to be tough on all travelers thanks to the outrageous price of gas and the pathetic air travel system. Amtrak, anyone? Gift cards – Bought a new lawn mower this past weekend for $37 out of pocket. Government stupidity – I know, that’s redundant. I had hoped Massachusetts was smarter than Illinois, but I was wrong. They also passed a really dumb booster seat law requiring children to ride in booster seats until they turn 8 years old. It’s virtually impossible to enforce if a child is older than 6. How are you supposed to prove your kid is older than 8? Carry his or her birth certificate around? And what if your kid is short and still is not 4′ 9″ at 8 years old? Instead of booster seats, why isn’t the gummint forcing auto makers to install adjustable seat belt anchors? MLB.TV – $20/month to watch all the Red Sox games full screen? I’ll take it. I am a jinx.- Tuned in MLB.TV tonight to catch the Red Sox. No score in the 6th. Just as I get the viewer up and running, the Blue Jays take Wakefield deep. Wakefield then proceeds to collapse. All of the sudden, it’s 3-0 Toronto. J.D Drew – Ties it up with a really sweet 3-run homer. Let’s hope that will be a habit for him this year. It has begun. – My grass needs mowing. Time for a new lawn mower. Springtime at last – The weather this weekend is supposed to be beautiful. Sunny and 60’s or even 70’s. ‘Bout time. Red Sox mid-game bullpen – Shades of the worst part of last year. Wakefield dies early and dramtically, Aarsdsma and Wavy Lopez come in and give up a walk each (don’t they pay these guys to throw strikes? ), and then Manny Del Carwreck comes in to give up the big hit. Sox are now down by 2. Let’s hope the Sox aren’t done hitting yet. UPDATE: Game over. Sox couldn’t do anything else and actually gave up another run. Not a total loss, though, as the Yankmees are getting spanked by Tampa Bay. Ok, so I’m on a webcam kick lately. But here’s a very nice image of the Eiffel Tower in Paris. It refreshes every 10 seconds. In the early evening in Paris, the tower is spectacularly lit. The website has links to other views of the tower and other landmarks around Paris. Virtually the whole team from last year is back, so I’m hoping it’ll be another great year. Here we go. You are currently browsing the weblog archives for April, 2008.